Easy enough. People use the word causally and often synonymously with other expressions of contempt for someone's intelligence. That's expected in modern terminology. 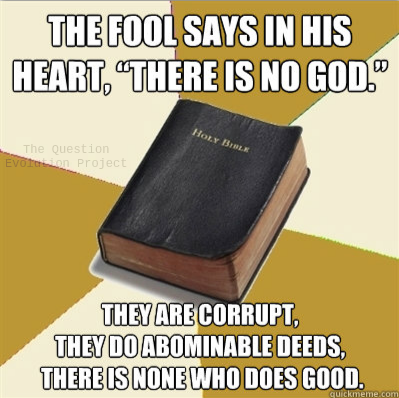 In the Bible, however, "fool" has a deeper meaning. The Hebrew word used in Psalms 14.1 and 53.1 is נָבָל, meaning not only lacking sense, but having moral failings — a vile person. The vile person says, "There is no God". When the Creator of the universe calls you a fool, you need to wake up and make changes. These are only a few of the verses describing fools. We see that they are to be avoided as much as possible, they cause trouble, are unwilling to learn — yet are full of pride. God implores us many times to get wisdom. Some people spend the greater part of their lives learning the wisdom of the world, but such wisdom is worthless compared to true wisdom. True wisdom comes from God, "The fear of the LORD is the beginning of knowledge: but fools despise wisdom and instruction." (Prov. 1.7, KJV). "A fool [vile person] gives full vent to his anger", Proverbs 29.11. Also, count the logical fallacies. One of the foundations for evolution is uniformitarianism ("the present is the key to the past", or that processes we see now are the way they've always been). The fossils and geology attest to the Flood, not to long ages and gradual processes. Frankly, the long time gradual process thing is an assumption based on metaphysics. Is this what Peter was talking about? 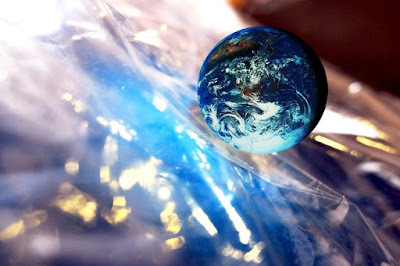 The world had a beginning. It will also end. You and I will come to an end. People who reject God are separated from him and their eyes are blinded (1 Cor. 2.14). They are under control of Satan (John 8.44). Jesus is God the Creator, who became a man to save sinners from the wrath of God (John 1.1-3, Col. 1.13-20). Time is running out. I implore you to receive the gift of God and the love of Christ while you still can. Me? I'm a fool in the eyes of the world. Big deal. God is my father and he is the one I want to please. By the way, I used "theWord" free Bible software which saved me a great deal of work.